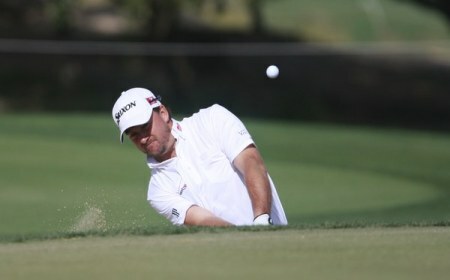 Forgotten Irishman Graeme McDowell plans to let his clubs do the talking when he makes his Masters return on Thursday. Back at Augusta for just the second time after missing the cut on his debut in 2005, he's been flying under the radar as Rory McIlroy and Padraig Harrington hog all the limelight. But the Ryder Cup star is happy to have to that way and hopes to grab the headlines with his play. Feeling fresh after a week off, McDowell said: "You can never have too much attention but I will let the two boys look after that this week and let my golf do the talking hopefully. "I am not hyping any expectations on myself but I am feeling very fresh and very prepared this week and I am looking forward to seeing how my game has moved on four years on, how the experience and how the test is going to suit me this week." McDowell played the course with his Dad Kenny two weeks ago and returned last Wednesday and Thursday with his caddie to do some serious work. But he is easing himself into the action this week and with the hope that he can get into the mix up on Sunday afternoon. After arriving late on Monday night, he said: "We are just easing our way in, playing nine today and nine tomorrow. It is a busy week so I'm just taking it easy. "I'm keen, I am prepared and I am fresh. My form is not as good as I'd like it to be coming in here but I played pretty good at Bay Hill two weeks ago but just didn't hole as much on the greens as I'd like to. "I had a really good three or four days in Orlando working on my putting. I feel my speed hasn't been too good this year so I am working hard on that. It is pretty key this week." The other key is the mental game and McDowell has decided that he must be patient if he is to make an impact. He said: "It's all about patience really and trying to take one shot at a time. You have to realise that this is a tough challenge and remind yourself to enjoy it at the same time." 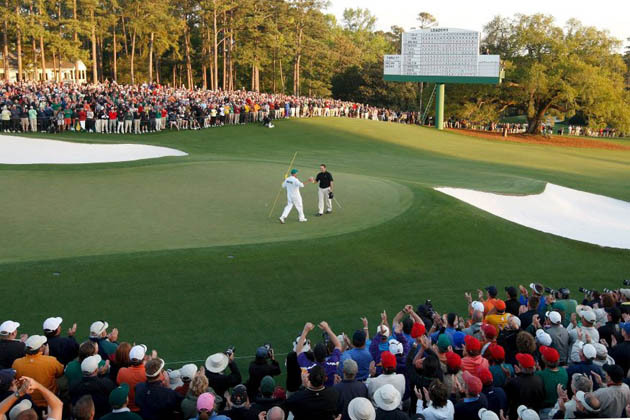 Leaden hands and the lightning fast greens of Augusta National are never a good combination but Graeme McDowell battled back brilliantly from a horror start to open with a three over par 75 in his third Masters.